Our Industrial Packaging Division’s bespoke chemical wash plant is able to clean types of containers ranging from contaminated industrial IBC’s to small receptacles. We already enjoy relationships that we have built up through many years of excellent service with sole traders, SME’s and large multisite corporates’ from all industry sectors. 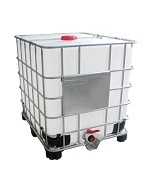 We also offer excellent pricing on new Industrial Containers and currently supply these to many organisations, including companies in the food and agricultural industry. Please click below for information and pricing. 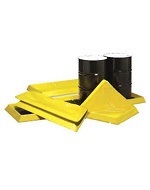 In addition to our bespoke chemical wash plant we also have the facilities onsite to recycle drums and plastic waste. Containers not suitable for reconditioning are chemically cleaned, crushed, shredded, granulated & separated to enable materials recycling and recovery. 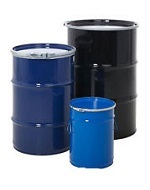 Reconditioning relates to containers/drums that can be reused after the wash process. Recycling relates to the shredding and granulation of containers. This granulate in essence is put back into the loop as raw material to produce other products. Why Choose Wastecare’s Industrial Packaging Division? Every day we service customers ranging from large corporates with multiple sites to local family run businesses. 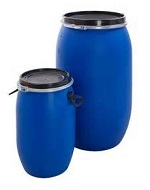 We can offer new and reconditioned containers. We will collect your used non haz packaging. We have our own fleet, established infrastructure with a nationwide coverage. We are uniquely positioned to offer you a Total Waste Management Solution and are fully licenced and accredited to collect any and all waste streams. This could include Chemical disposal, WEEE, Batteries, IT equipment, Collection of oil for conversion to bio fuels. We operate modern factory and facilities with totally self contained effluent systems – no mains discharge. WAMITAB/COTC Hazardous Waste Treatment & Transfer qualified management. Completely free advice on latest waste regulations available to all companies. Containers not suitable for re-use are chemically cleaned, crushed, shredded, granulated & separated to enable materials recycling and recovery. 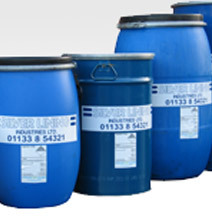 Wide range of residues handled – food, cosmetics, detergents, oils, adhesives, specialty and hazardous chemicals. 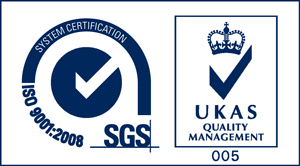 Customer visits and environmental audits welcomed. Full site address and Map on ‘contact us’ page. We employ full time DGSA (Dangerous Goods Safety Advisor) – available to answer customers questions on latest regulations within CDG & ADR. Efficient turnaround times – empty trailer in – full one out. Advertise to your visitors that you recycle your used packaging to aid in you ‘zero to landfill’ policies. Waste Transfer Notes provided for every load collected. Acknowledgement & breakdown issued for every load on receipt at our facilities. Call direct on 0113 263 8643 or email packaging@wastecare.co.uk now to get a quote or find out more about the Industrial Packaging service.